My cousin Carol died within 48 hours of my mom. 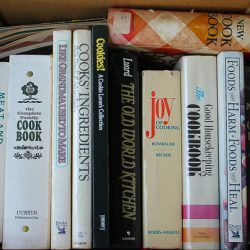 The next week, Carol’s daughter brought a box of her cookbooks to my kitchen. 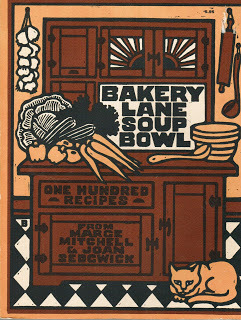 I love revisiting favorite old cookbooks. 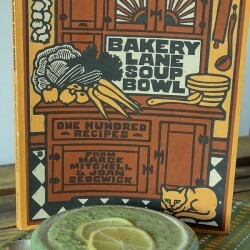 Bakery Lane Soup Bowl is perfect for the cool weather with all kinds of soups like this comforting broccoli soup! This cookbook is a true treasure. The recipes are from a former popular restaurant in Vermont. You will love to have this book in your collection!